The month of Kislev (Mazal Keshet, Sagittarius) is the 9th month of the Hebrew year. It is the aspect of Yessod. On the 9th day of Kislev (this year it falls on Monday November 27th, 2017) we are at the 9th of the 9th, which is Yessod of Yessod. The gate of Yessod is open for a once a year opportunity to tap into the level of Yessod, to drawing Light of sustenance and abundance. It is a time of good will. This month is known for miracles because of the open channel of the Light of Yessod. If you missed the 9th of Kislev, you can still have an access to this Light until the end of the month of Kislev but the gate is wide open on the 9th of the 9th. On the 9th hour of the 9th day of the 9th month we have all the levels of Yessod aligned to the highest levels of Binah where all the energy of fulfillment, success, and abundance is coming from. The lights of Chanukah are called ‘children of Binah’ ‘בני בינה ימי שמונה…’. It is a good time to meditate and plan for the future, on a spiritual and material level. The first half of the month (until the 15th of Kislev, December 3rd) has the strongest revelation of this Light (moon is waxing). The lighting of the Chanukah candles on the last week of this month reveal the Light of miracles, carrying it to the next month and to the rest of the year. The secret of the 9th of the 9th of the 9th is revealed by the kabbalist, Rabbi Avraham Marimon HaSfaradi of blessed memory (Brit Menucha). This kabbalist is mentioned and referenced by Rabbi Chaim Vital in the writings of the Holy Ari. 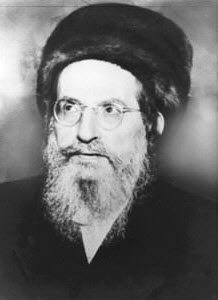 Rabbi Avraham Azulai of blessed memory wrote in his book Chesed Le’Avraham, “I saw in the book ‘Brit Menucha’ that the ninth month in the ninth day on the ninth hour is a time of great success and the reason for this is because it is the ninth wheel of the Yessod and is a pipe of abundance”. The Hebrew clock is dynamic and it changes almost every day because it depends on the local sunrise and sunset. We programmed a Hebrew clock (on home page**) to match your local time (base on your browser access point to the internet). Since we didn’t test it globally, please check first that the sunrise time and sunset is true to your location. It’s okay +- 1 minute. A Hebrew hour has 1080 parts an one part is about 3.3 seconds of universal clock. One Hebrew minute has 18 parts (1080/60). To check your local sunrise and sunset Google the following ‘what time is sunrise and sunset today’ and check DZ Hebrew clock. Please report if more than one minute difference. Meditate for yourself and for others to channel this energy in your life and for the whole world. Remember that the Yessod is the funnel of the Light to Malchut and your meditation should match that energy. Meditate big, Meditate global. Be in positive and sharing consciousness at all time. It would be best if you write your goals on a paper or create a digital document with full description of your goals and plans. If you are pure and have merits, B”H it will manifest in your life. Start by setting spiritual goals like regular scheduled studies of Torah and Zohar. Commit to share your tithe and Tzedakah with all sources that benefit your life. Even if you feel low and lack of merits, make efforts and start building the ‘vessels’ for your spiritual and material success. You may experience miracles if you change your ways and follow the righteous path. How to maximize on this spiritual connection? It is not a holiday and there are no special prayer defined for it but it is revealed by the kabbalists and we should use kabbalistic tools for this connection. The key to open the gate of Yessod is by doing Tzedakah during this month and before the 9th day to have a proper vessel for this Light. Tap here to view a page with videos and links to give Tzedakah. s month because the gate of Yessod is already open. Reading the text of “Elijah Opened” is also a key to open all spiritual levels on the three columns. I personally read and or listen to my recording of it everyday. Below are several links to this sacred and powerful text from the Tikunei Zohar. It is said by Elijah the prophet as opening the study of the 70 Tikunei Zohar that Rabbi Shimon made to support the Shechinah in our world. and before your start/initiate new venture. Best time is in the morning and on the ninth hour of the day (counting from sunrise) about 2 to 3 pm your local time. Anytime before sundown is good. If you pray the afternoon prayer scan the Zohar texts before starting the Mincha prayer. During the silent standing prayer and just before “Baruch ata …Shomea Tefila”, inject your own personal meditation. Always include others in your meditation. Remember that success can not be sustained for long without sharing and caring for others. B”H you have a meaningful meditation and will benefit from the energy of miracles that exists especially during this month. ** when accessing the page from a mobile device, you may need to scroll down to view the Hebrew clock.